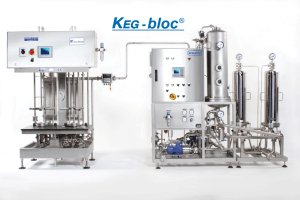 The best solution for cleaning and filling your KEGs. 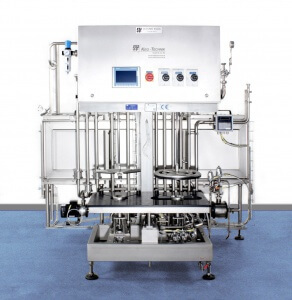 The MICROMAT M 2/2-b is a semi automatic machine able to handle 2 KEGs at the same time. On the left station intensive cleaning is done, while steaming and filling is in progress on the right station. 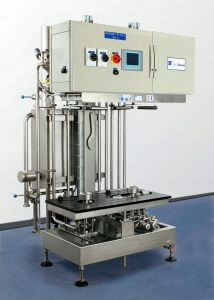 Select only caustic cleaning, or also acid cleaning from the options. When also using oneway KEGs, you need a flow meter. Also Bag in PET KEGs and different Fitting types. The Micromat M2/2 Hybrid comes with a Flow Meter and 4 programmed volumes. 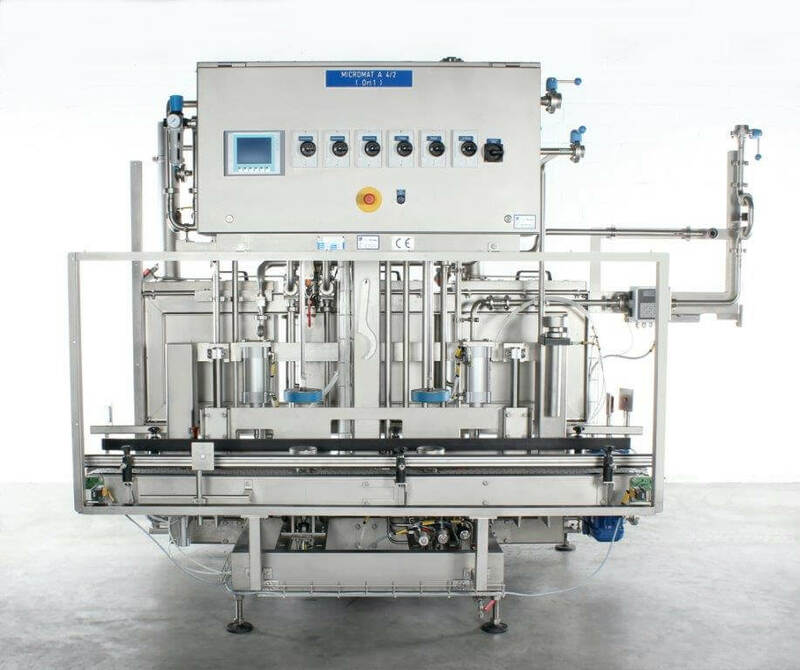 The next step in automatic cleaning and filling is our MICROMAT A 4/2, using a walking beam and conveyer solutions.